What will be Rahm Emanuel's legacy on Chicago's architecture? - Archpaper.com What will be Rahm Emanuel's legacy on Chicago's architecture? Yet, for Chicagoans, Emanuel’s two terms feel like enough to fill multiple lifetimes, both with development projects and architectural optimism, as well as what he will likely be known for: the decision to close 50 neighborhood public schools in 2013, many of which sit vacant and unsold five years later. 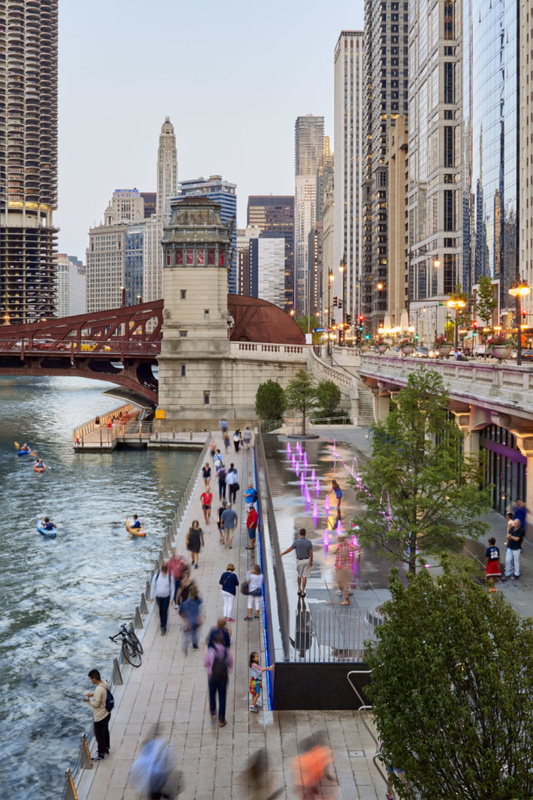 Under his watch, Chicago became an infrastructure and design-driven cultural hub, with the first iteration of the Chicago Architecture Biennial, the Chicago Riverwalk, the 606, and the maturation of Millennium Park into a legitimate tourist destination. Emanuel appeared on broadcast television to proclaim that Chicago was a “Trump-free zone,” yet the president’s name is saliently plastered to the side of a skyscraper in 20-foot-tall letters, a blunder approved by the zoning administrator and the alderman, catching the mayor’s attention only after an architectural outcry. A former chief of staff to President Barack Obama, Emanuel would work hard on the national stage to present himself as the antithesis of Donald Trump yet kept largely quiet about it at home. There was the risible focus on assisting Elon Musk with his rapid transit link to O’Hare Airport, and the sideshow-style hawking of sites for Amazon’s HQ2. 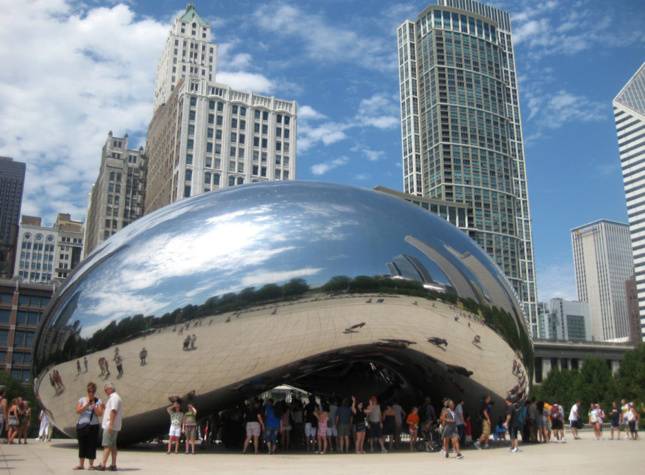 Then there were the bombastic press releases, the development of Lincoln Yards, the 78-acre mega-development, and the promise that Chicago would deliver the Obama Presidential Center to Jackson Park. Yet among all of these high-profile projects, Emanuel seemed to love the glamour of developer-driven neighborhood projects most of all. The Transit Oriented Development (TOD) Ordinance of 2015 supercharged the construction of bigger, denser residential buildings along Chicago Transit Authority (CTA) lines, changing the architectural character of some neighborhoods and flushing each neighborhood with micro apartments of questionable affordability and access. The Tax Increment Financing (TIF) program provided surges of cash to neighborhoods but seemed woefully out of touch with its original intent—to subsidize development in underserved neighborhoods—when funds were used to renovate downtown’s Navy Pier. With regard to Chicago’s historic built environment, Emanuel has made a lot of lofty promises that will be tough for the next mayor to fulfill. In 2017 he announced that he would encourage landmark status for the Legacy Walk in Boystown, a half-mile-long outdoor LGBT history exhibit constructed in 1998, which could be a hard sell to the city council due to its newness and obvious political motivations, as the announcement was made during Chicago Pride. While this could be considered a radical move, older, more vulnerable landmarks of cultural heritage, like sites that assist in telling the narrative of the Black Panther Party in Chicago, have yet to be considered for landmarking. 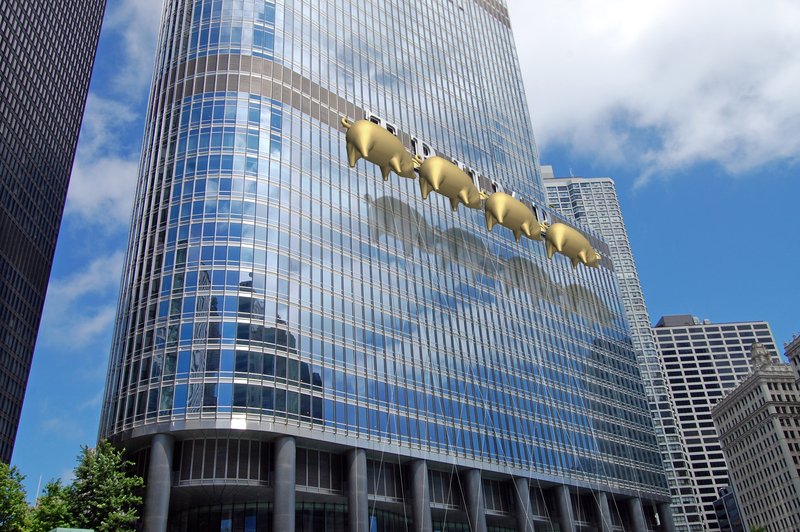 Last year, Emanuel also announced that he would block the sale of the postmodern James R. Thompson Center by the State of Illinois out of fear of having to replace the CTA station beneath it but will not take a stance otherwise on the future of the building or its architectural significance. Attempts to restore the perennially threatened Uptown Theatre have stalled and sputtered under Emanuel’s tenure, including the creation of a nonprofit in 2011 to back a public-private partnership to lead the renovation, which ultimately failed. This past summer, Emanuel announced yet again that the Uptown would be restored using a combination of TIF funds and private investment, handing the responsibility to whoever is elected in February of 2019. Emanuel thought big, but also blew it big, and the success of his ideas and the legacy of his failures lie on the shoulders of the next administration, which may take a different direction entirely—perhaps toward neighborhood-led initiatives and on a smaller scale, working to improve parts of the whole—or continue to champion grandiose civic projects. The announcement that Emanuel will not seek a third term scrambles an already crowded field of candidates and piques the interest of new contenders who now believe that they have a shot at defining how Chicago presents itself in the 21st century. We will see how a new mayor designs it, builds it, and tears it down.